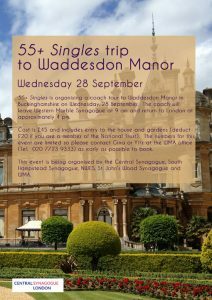 55+ Singles is organising a coach tour to Waddesdon Manor in Buckinghamshire on Wednesday, 28 September. 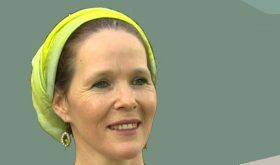 The coach will leave Western Marble Synagogue at 10 am and return to London at approximately 4 pm. Cost is £45 and includes entry to the house and gardens (deduct £20 if you are a member of the National Trust). The numbers for this event are limited so please contact Gina or Yitz at the WMA office ( Tel: 020 723 9333) as early as possible to book. 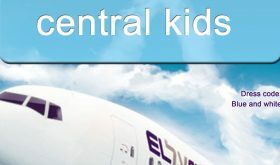 This event is being organised by the Central Synagogue, New West End Synagogue, South Hampstead Synagogue, St. John’s Wood Synagogue and Western Marble Arch Synagogue.